Wang Shiyue was born in Hubei Province in June 1972. He is a writer and a painter and began writing novels at the age of 30. His representative works include No Monument， The Man who Collects Footprints， Rice Island， Living Animal， If the Last Day Has no Date， and so on. He won the fifth Lu Xun Literature Award， the People’s Literature Award， the Baihua Literature Award， the Novel Selection Annual Novella Prize， has had stories selected for People’s Literature for Everyone’s Future Top 20 and so on. Some of the short stories and novellas have been translated into Russian， Spanish， Italian， English， Mongolian， Japanese and other languages. Wang Shiyue is an advocate of anti-style， emphasizing that form is subject to content， so the style of his work varies. His most prominent works are fictional novels depicting contemporary labor life in China with a realistic style， rural novels of witchcraft and ghosts depicting the life of the peasants in the Yangtze River Valley， and science fiction novels depicting the future world with a style of realism. Wang Shiyue is a representative writer of China’s “Working Literature.” He left school at the age of 16 and worked in factories in Shenzhen， Dongguan， and other places. For more than two decades， he has witnessed the hardships behind the rise of China’s manufacturing industry. This provides rich material for his novel creations. Some people think that Wang’s novels have truly recorded this era. From them， one can see what kind of life the Chinese people dream of living and what unfathomable hardship and price they pay to live that dream. In 2009， as an unknown amateur in the literary world， Wang Shiyue was awarded the fifth Lu Xun Literature Prize for his novella National Order. 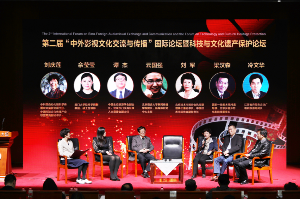 The awards speech of the jury was written： As a writer who came out from the workforce， the writer Wang Shiyue has a deep understanding and comprehension of the complex situations of people with different identities in Chinese companies against the background of globalization. His National Order， in the tense narration of crisis and survival， shed light on people’s hearts， sought verification for individual rights and dreams and the harmony and development of society， reflecting an ability to grasp social life in a fair and accurate manner. After No Monument， a novel in which Wang Shiyue depicts the working life， it was listed in the “List of 15 Chinese Masterpieces in the Ten Years of a New Century 2000-2009” by The China Daily. Wang Shiyue’s countryside novel is completely different from his work novel. It is filled with shades of mysticism and weather that gives a ghostly feel. The critics believe that it is different from other Chinese writers influenced by magical realism. Wang’s countryside novel connects with the atmosphere of Jingjiang Old Tomb. His science fiction has a complex structure， with brain twisting plots and bringing together Chinese philosophy and theoretical physics to make people feel it is fresh and new.